An important part of your marketing strategy should be your in-person sales techniques. Think of the most common questions you face during listing presentations and learn how to react if prospective clients bring them up. Take the time to create visual presentations, whether it is a booklet, slideshow or video. Divyit- Do you have tenants that split rent and utilities? Tell them about this app and you will look like a miracle worker! Divyit helps to easily split bills with roommates, friends, or families. 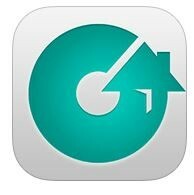 Simply enter monthly bills, utilities, house supplies, etc. Divyit will show you the simplest number of payments owed by each user. You can also email participants the breakdown of costs! This entry was posted in Marketing Tips and tagged app, blog, Hampton Roads, holiday, kitchen, Marketing, Mortgage Rates, RE/MAX, Real Estate, Virginia Beach by remaxalliancevb. Bookmark the permalink.